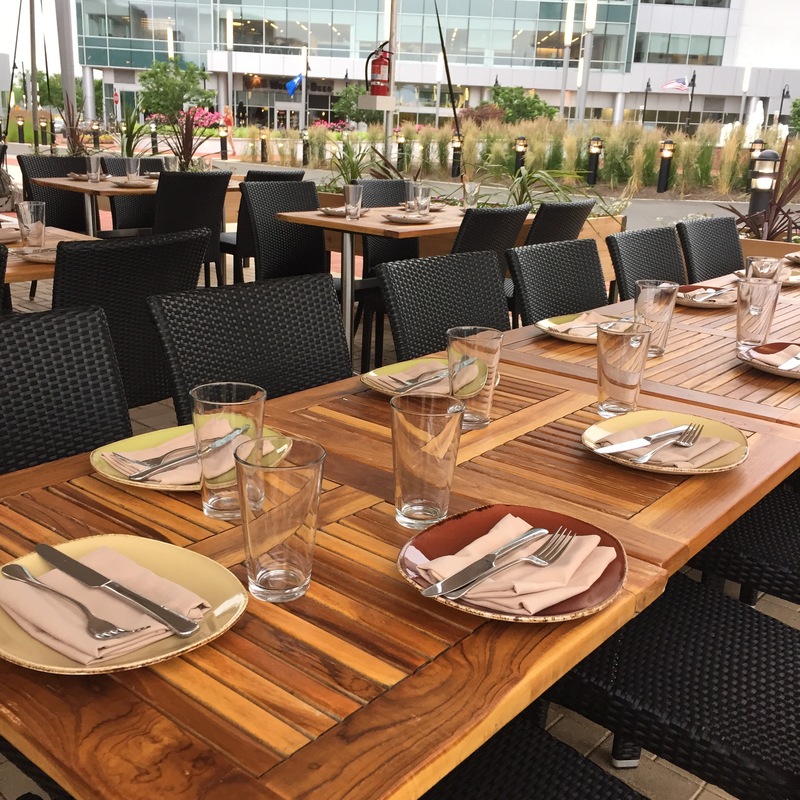 Overlooking the water at Stamford’s newly developed Harbor Point stands celebrity chef Aarón Sánchez’s restaurant, Paloma. 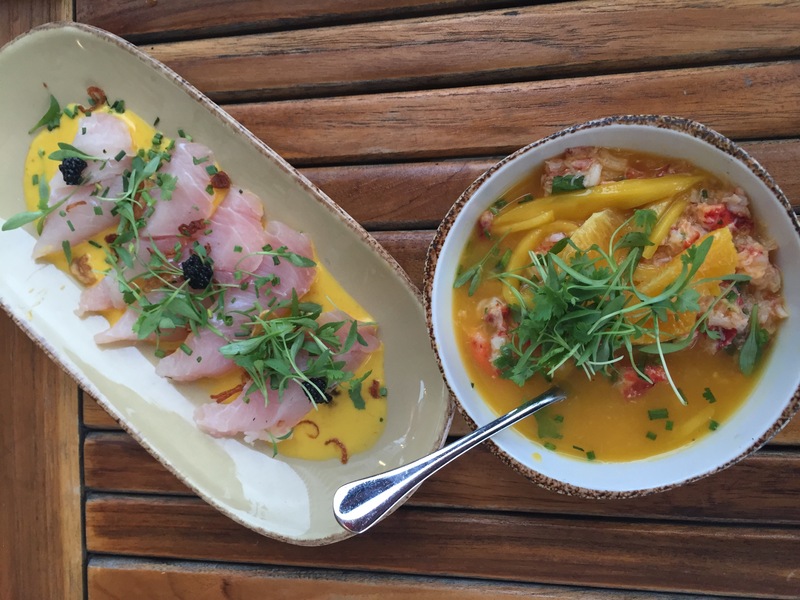 I was excited to attend a media dinner at Paloma recently and to try this restaurant I had been hearing so much about – both good and not-so-good – these past few months. Our experience ended up being somewhere in the middle; some of the dishes I would order again and others I would not. 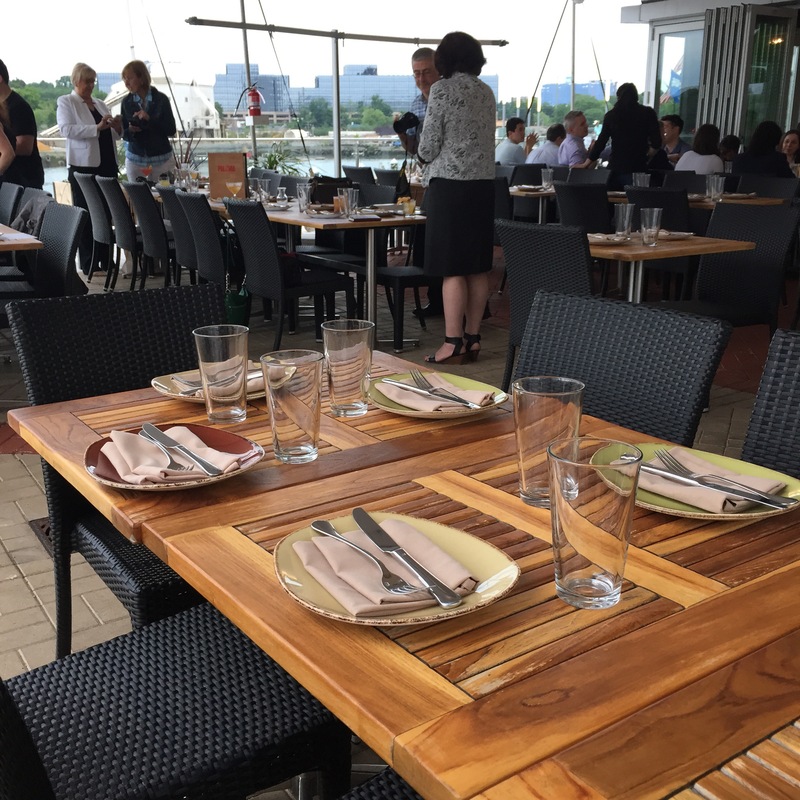 The first thing you will notice when you visit Paloma is its location with lovely harbor views – this restaurant is all about location. 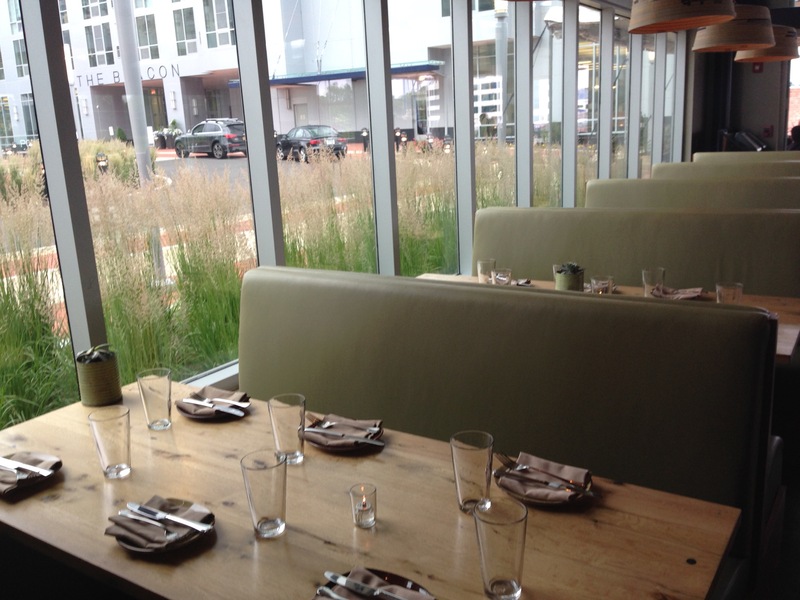 If the weather permits, sit outside on Paloma’s large outdoor patio. 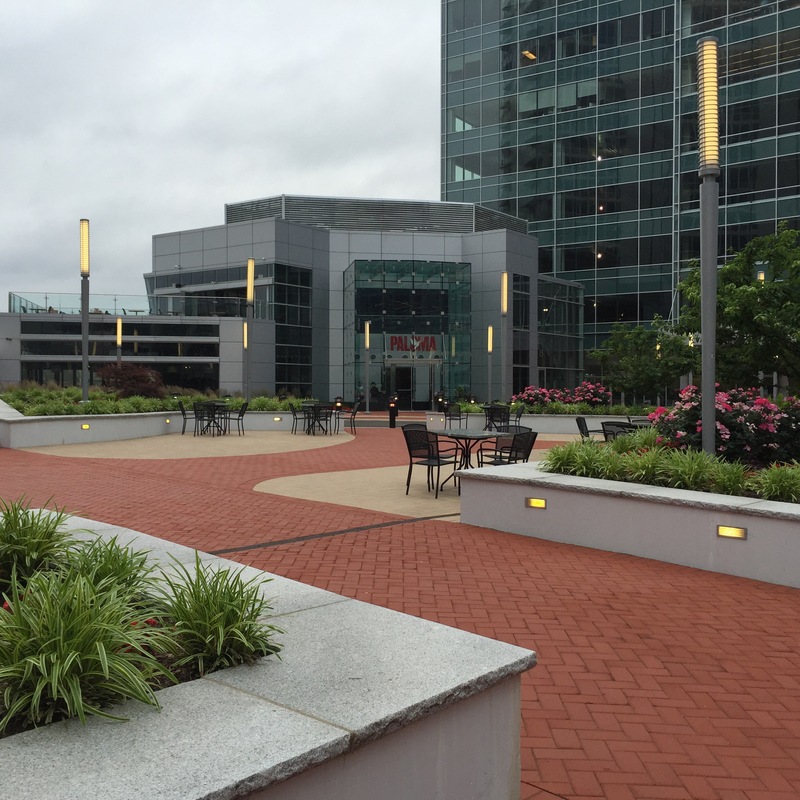 Harbor Point is still adding several more restaurants so it appears it will soon be a must-try dining destination. What should you order when you visit Paloma? Let’s begin with the cocktails because, well that’s usually the first thing we all order when we first sit down at a restaurant. The cocktails at Paloma were one of the highlights of my dining experience. From the house-made sangria to a large wine list to more creative cocktails, Paloma has an extensive beverage program that’s sure to please everyone in your group. My two personal favorites of the evening include the “Bees and Bourbon” and the house made Sangria. The “Bees and Bourbon” has hints of the sweet honey flavor and it compliments the bourbon making for a very smooth cocktail. 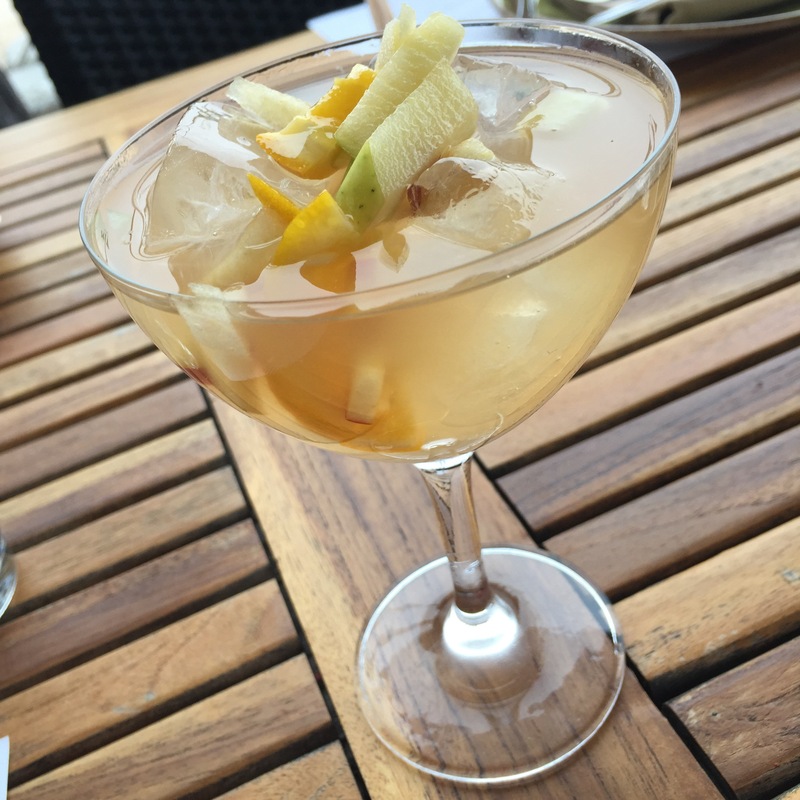 Fans of Jack Daniels’ “Honey Jack” (or anything similar) will really enjoy this cocktail. 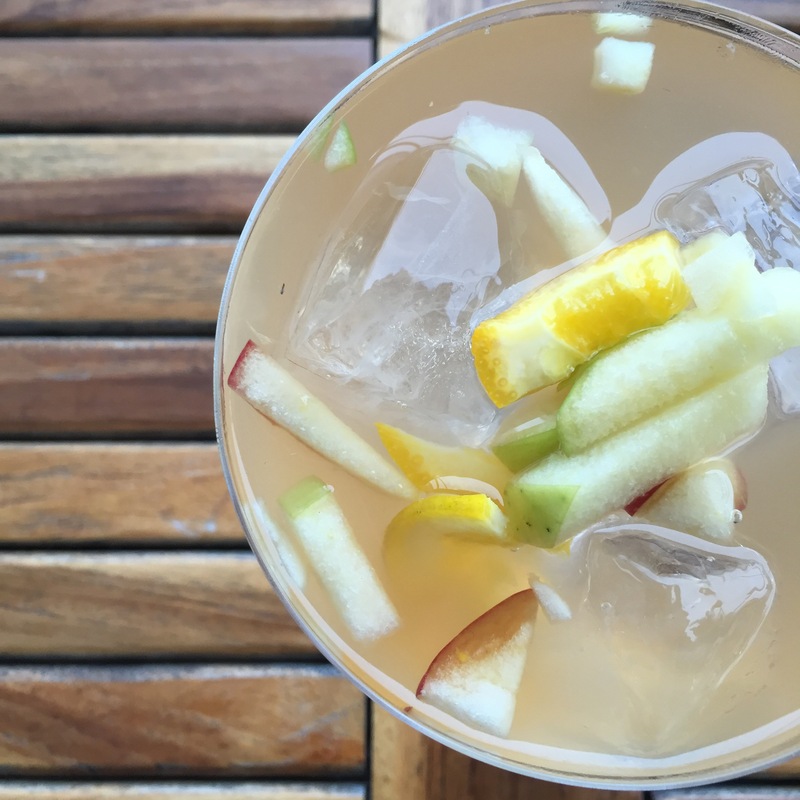 The White Sangria, on the other hand was light and sweet from the very fresh-cut fruit; a perfect summer cocktail to enjoy on the patio. We tried over a half a dozen different appetizers or botanas (small plates) at Paloma and they are available on the lunch, happy hour and dinner menus. 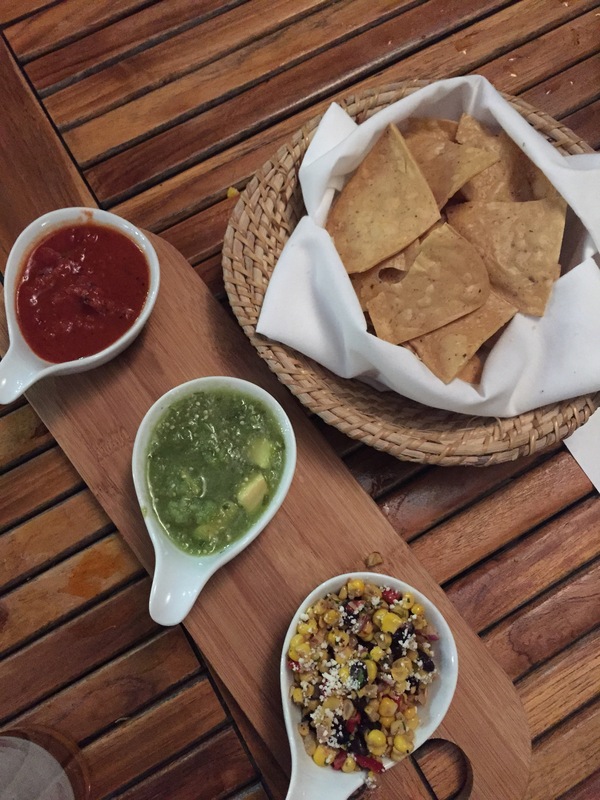 Diners might begin with the classic Tres Salsa and Chips (above) or the more unique Tai Tiradito. 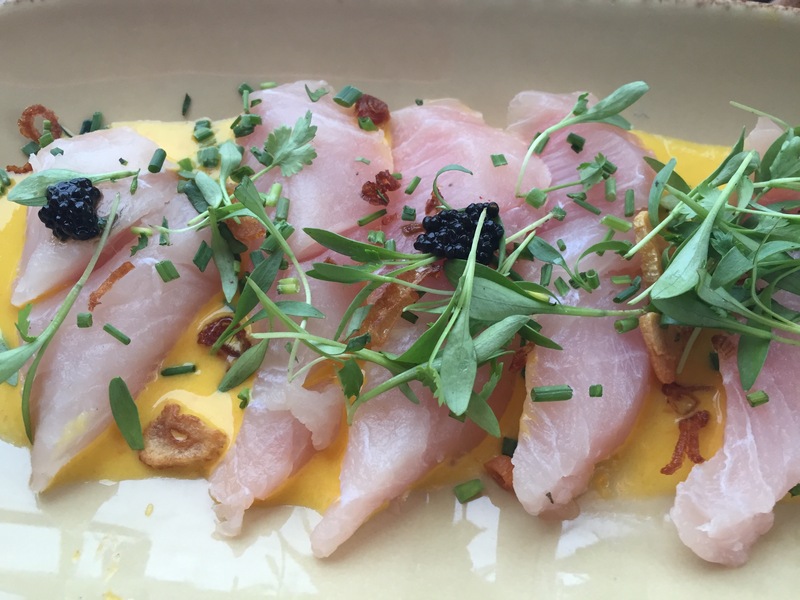 The Tai Tiradito is a snapper crudo in aji rocoto sauce with crispy hominy. The snapper was unbelievably fresh in this dish making an already delicious dish even better. The Lobster Cerviche made with passion fruit habanero sauce, on the other hand, was not something we would order again. The citrus flavor, while light and enjoyable for a meal during warmer weather, did drown out any flavor of the lobster – lobster lovers want to taste that lobster! 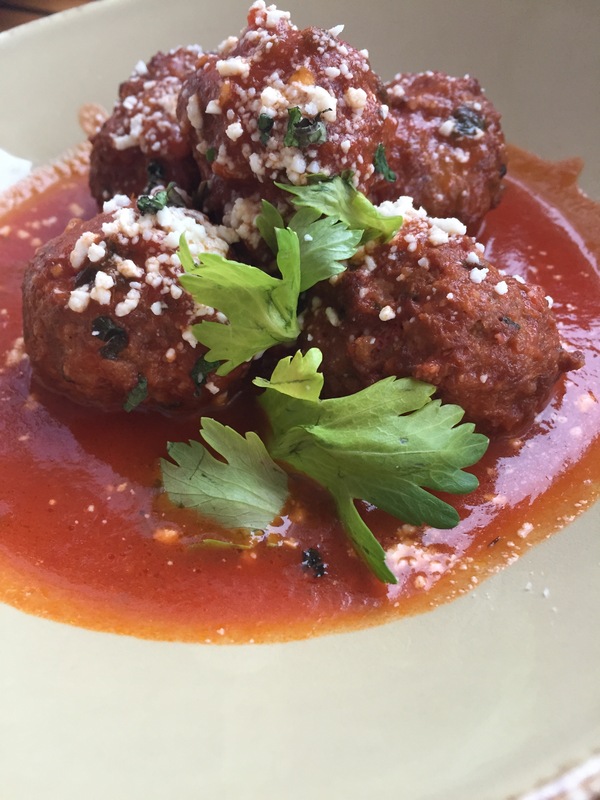 A surprising find on the small plates menu are the meatballs or Albondigas. Served in a chipotle broth with mint and queso cotija these are truly Latin-inspired meatballs. The chipotle gives just a slight amount of heat and along with the queso cotija makes these meatballs just a little different from a standard meatball you will find anywhere else. If you’re looking for appetizers to share the Queso Fondido of huitlacoche and wild mushrooms served with corn tortillas is a perfect choice. The flavor of the mushrooms is very subtle, just enough to remind you they’re a part of the dish. 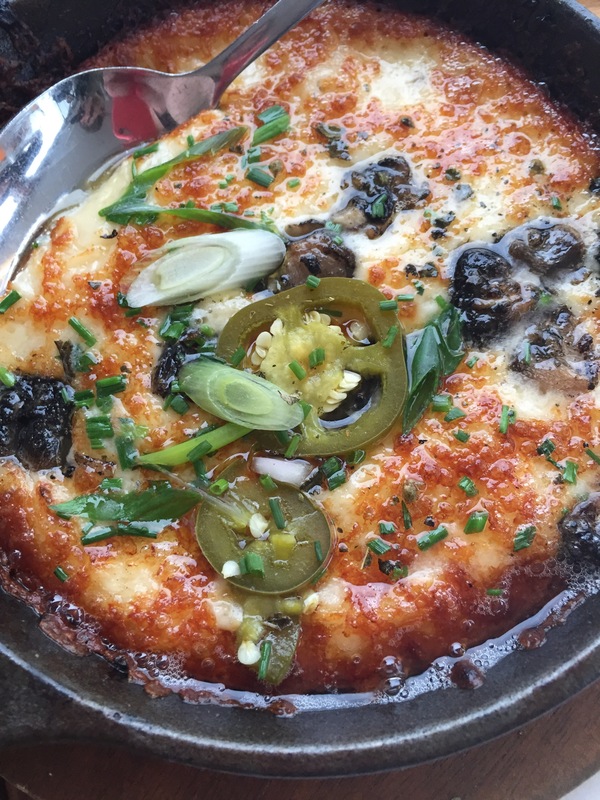 Reminiscent of a cheese fondue, the Queso Fondido is prepared and served at the table in a small iron skillet so it also achieves some crispyness on the top and along the edges – yum! The Tostadas were a hit with our group and something I highly recommend for a small plate to order before your meal or during a visit for happy hour. We tried two types: Shrimp Tempura and Crab. 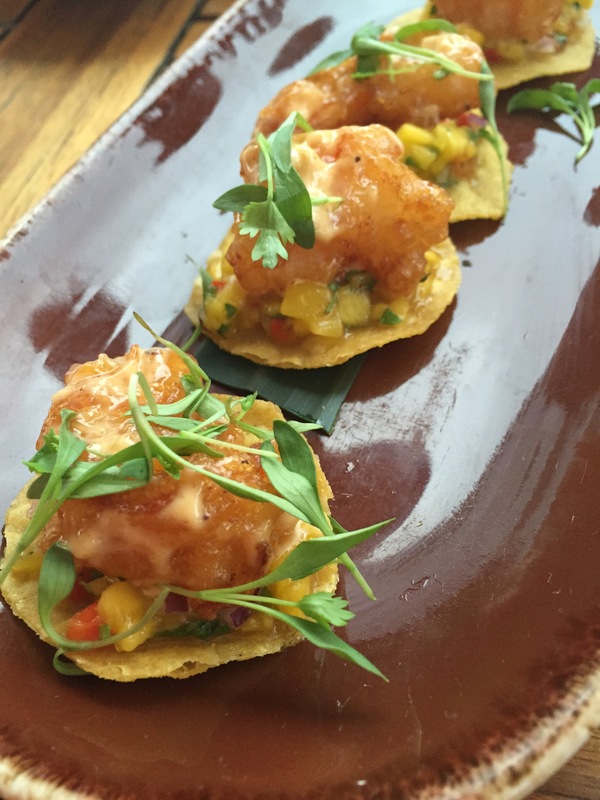 The Shrimp Tempura Tostada (above) is shrimp fried in a very light tempura batter and served with a creamy aji miraso and a mango salsa. 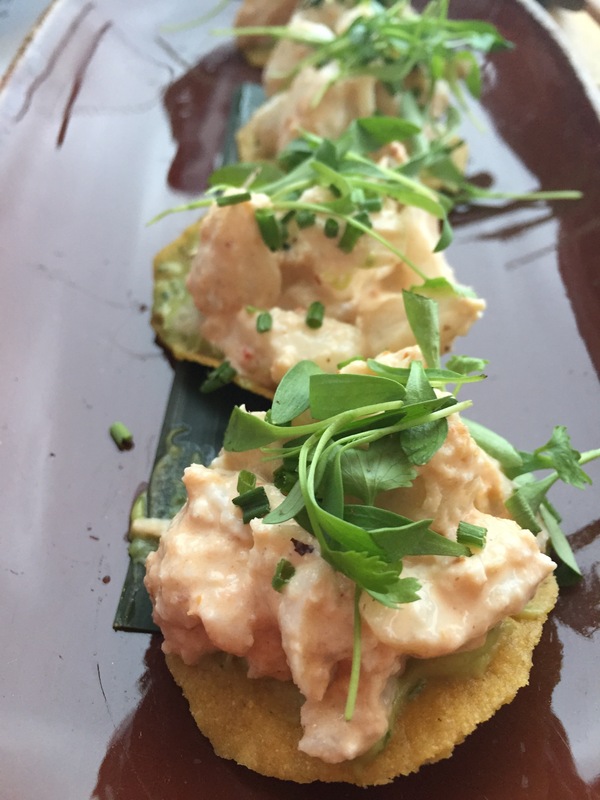 The Crab Tostada is made with a chile arbol aioli and avocado purée. Both versions of the toastada were packed with flavor and the crispyness of the chip make them a palette pleaser. After all those appetizer we were ready to try the entrees! 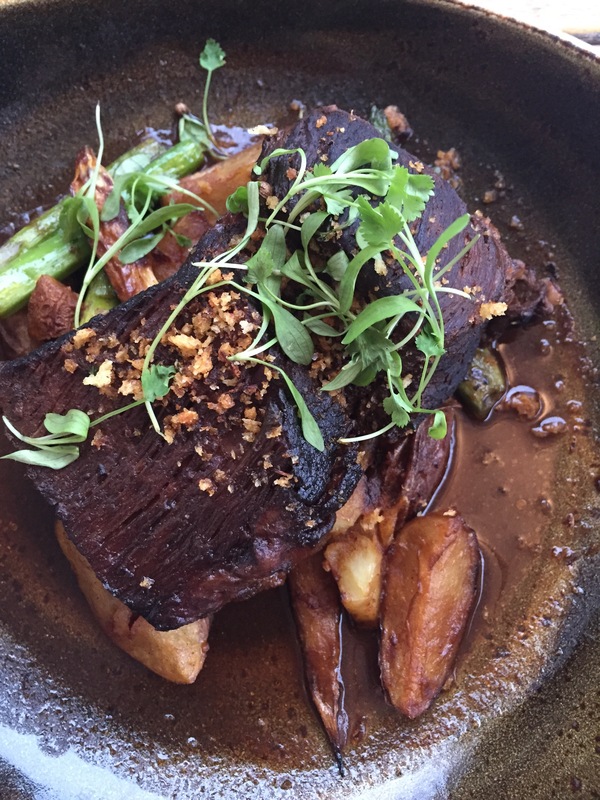 We began with one of Paloma’s best-sellers, the Braised Short Ribs. Prepared with an ancho-cacao rub and served with seasonal vegetables (fingerling potatoes here) and a horseradish gemolata the ribs fall apart with the simple pull of your fork. The ribs are a filling dish, one I can envision ordering during colder weather when you want something heartier. Served alongside the Braised Short Ribs was the Cuban Style Chicken. 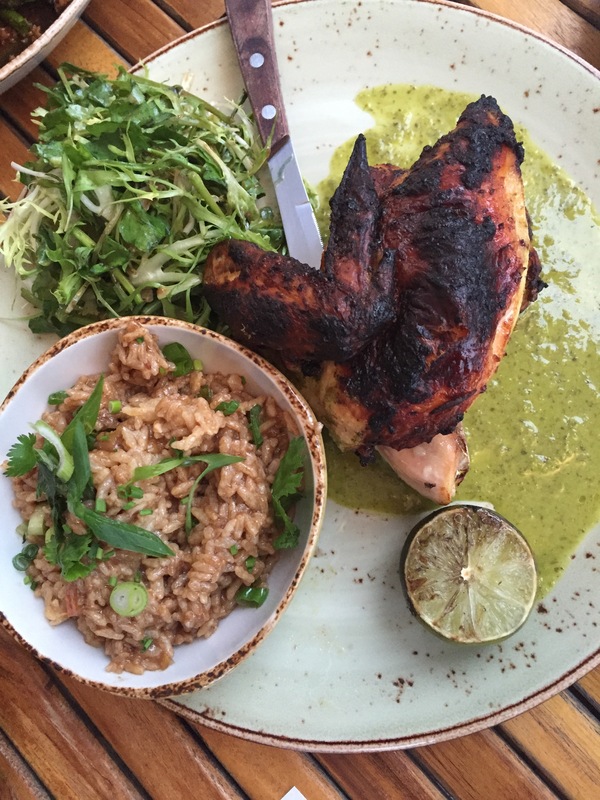 The Cuban marinated roasted chicken is served with a pickeled salad and tamarind chicken fried rice. This was my first time experiencing tamarind, a tropical fruit, and the flavor is quite unique and it really makes the fried rice stand out. The roasted chicken is a classic with the Cuban marinade giving it a Latin twist. 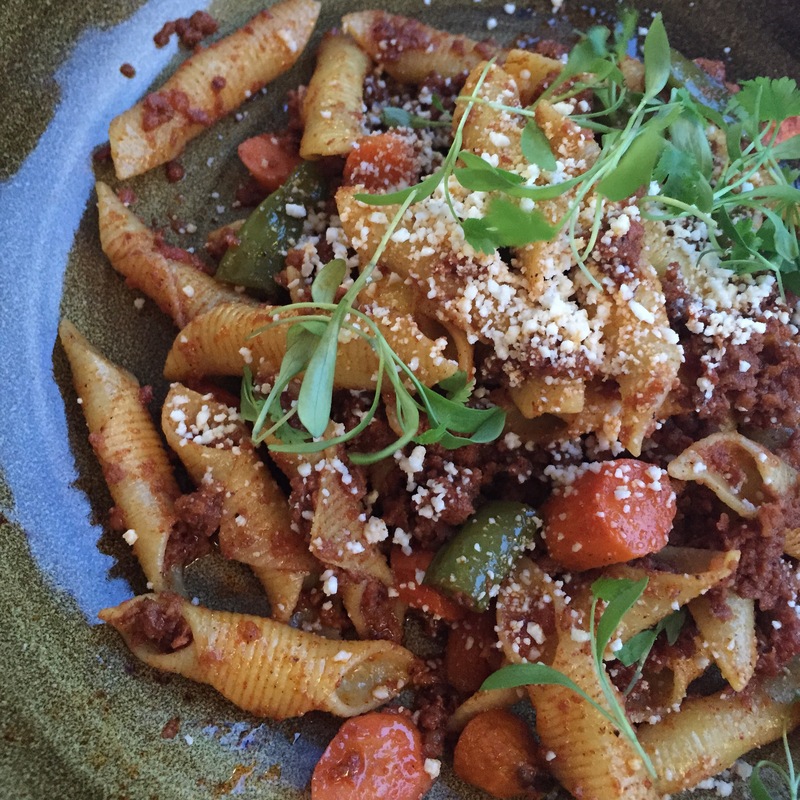 I have to be honest, when I saw this dish on the menu I was confused – why is there pasta on the menu at a Latin-inspired restaurant? Did you know that Italian cuisine has greatly influenced the cuisine of many South American countries? Me either, but now I know and now I see why there is pasta on the menu at Paloma. The Garganelli Pasta is a slow cooked ground chorizo, cauliflower, grilled escarole and tamarind reduction and it was quite delicious. Another best-seller of Paloma’s, and our final entree, is the Camarones Mojo de Ajo. 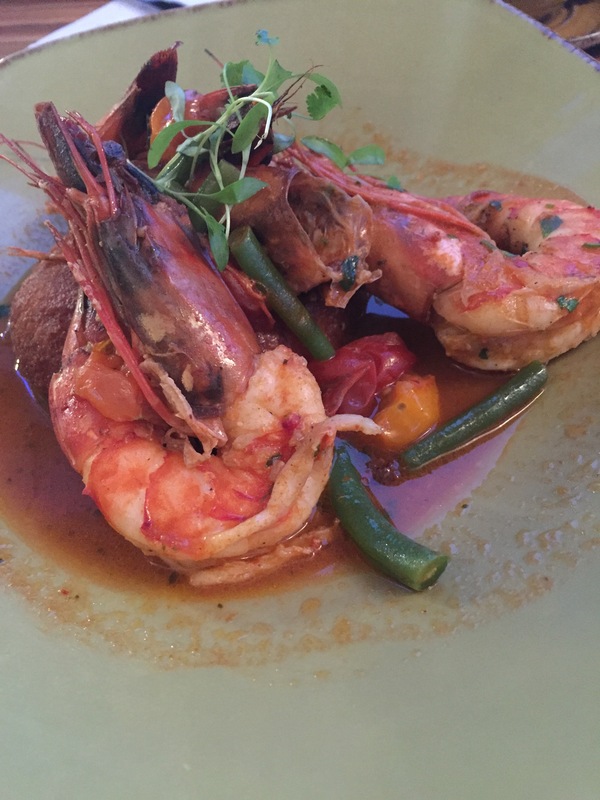 These jumbo shrimp are cooked in a chile de arbol butter and served over a crispy grit cake. This dish was a hit with our group and I can see why it is one of th restaurant’s bestsellers. We finished off our meal with some dessert, as one should always finish a meal. 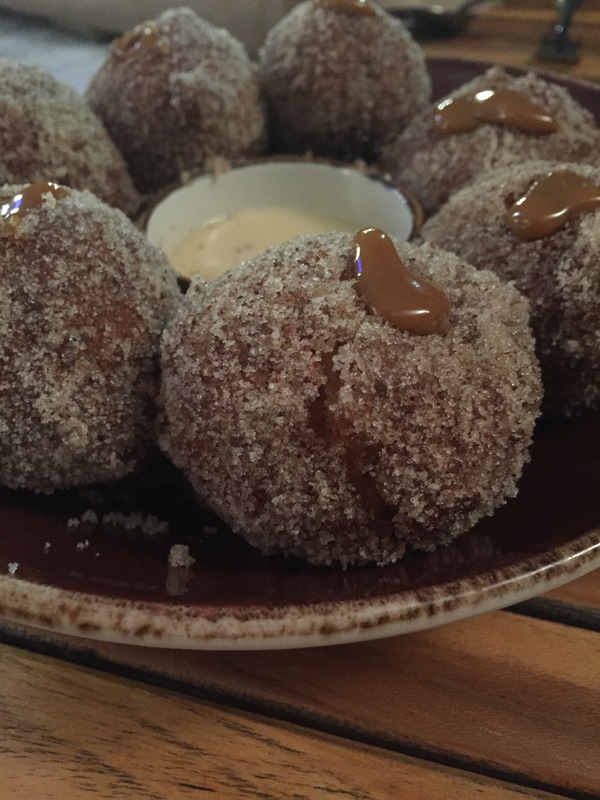 These non-traditional churros are more like mini cake donuts rolled in sugar and topped with a dollop of dolce de leche and served warm with an agave-vanilla crema dipping sauce. 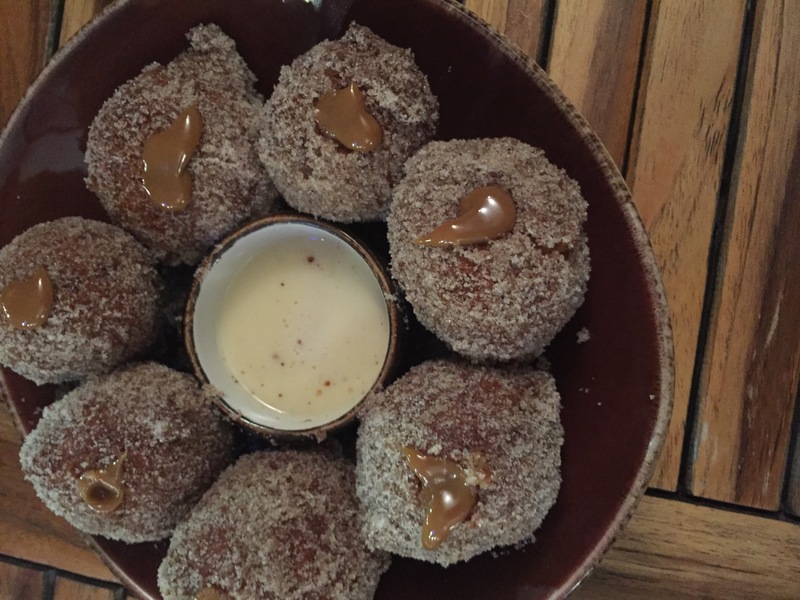 If you like classic cake donuts with sugar topping, order these. I have to admit, I was secretly hoping these had the dolce de leche inside to make these really unique and noteworthy. One order of churros is perfect to share since they are rather large. Dessert addicts looking for a little more, may I present the salted caramel cheesecake served with a cherry chunk cookie. What I loved about this dessert was that in serving the cheesecake in a deconstructed manner the layers insure you are getting salty and sweet in each spoonful and it wasn’t as heavy as when you eat a traditional piece of cheesecake. The cherry chunk cookie is delicious and not a typical cookie you might encounter. 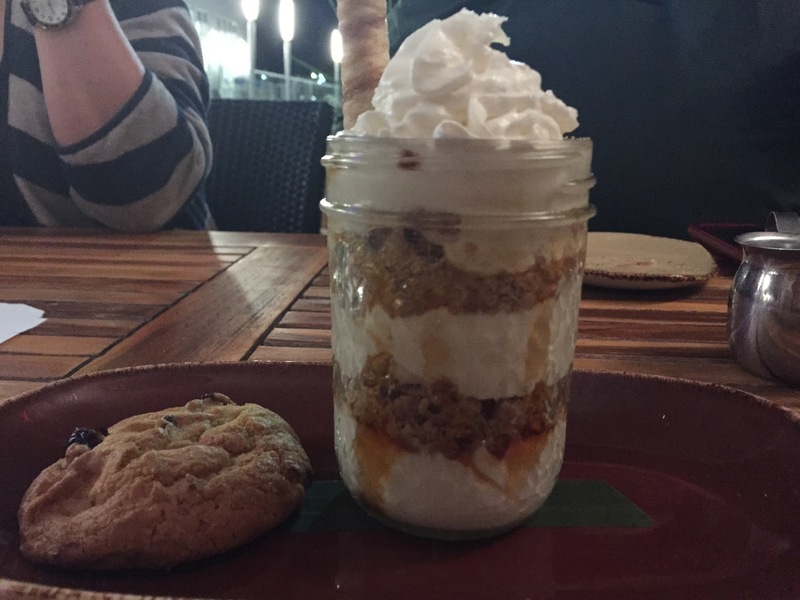 However, the combination of flavors served together between the cookie and the salted caramel cheesecake do not compliment each other and were a questionable pairing. First, as a new property the restaurant and its address will not appear in your gps, but a quick chat with the hostess when we called the restaurant offered a nearby address to help. Second, once you arrive parking is a breeze with a free parking garage just a short walk away. 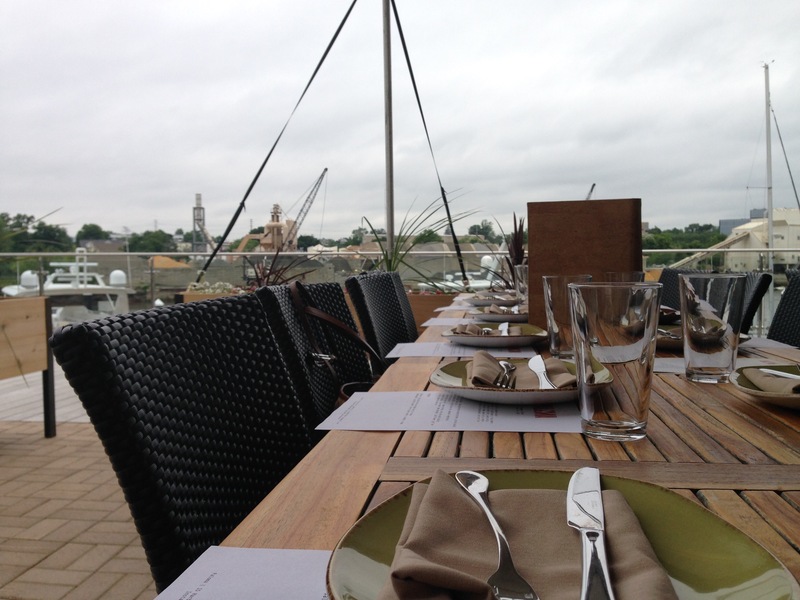 Dining in Stamford is usually a challenge due to parking, so the parking garage was a very pleasant surprise. Finally, Harbor Point is near I-95 and Metro-North, however I’m not sure if it’s necessarily within walking distance. can you join western vibe ? come n joy with attractive offers.